Why do people gamble? How did it originate? Gambling is one of the most popular hobbies in the United States; there are cities such as Las Vegas and Atlantic City that are well known for gambling. The reasons why people gamble vary but the mainly people gamble because they think they can get rich by gambling. Thinking of a huge jackpot or making money little by little is what makes people come back to casinos. The idea is plausible and not always possible. Most of the time, on table games the house always has the advantage and the house usually wins, but in fairness if you know the rules of the games and you know how to play and you understand betting strategies then you have a chance to win big or small depends on you. Most people also don’t know when to walk away and this is where they start to lose money. Smart gamblers know when to walk away and count their losses and others continue down a losing streak and soon enough they are borrowing money and maxing out credit cards just to think they can win big. Gambling is fun but you should never gamble what you cannot afford to lose. Gambling as been widely associated with the United States but gambling did not originate in the United States it started out in ancient Roman times. According to history, China has been known as a gambling place and the reason is that it is where the games originated, for example did you know that Keno and Pai Gow originated in China. You cannot walk into a casino without seeing either Pai Gow or Keno. China isn’t the only country where these gambling games come from; in Europe it was there where they created games like the popular Black Jack, Roulette and Baccarat. Horse Race betting was created in England in the middle of the 1700’s. As these games came over to the United States, some other gambling games emerged from Florida we have Jai Alai, it is a fast paced and the games are generally short and that is the attraction to gamblers. They do not want something long-winded or slow paced; they are looking for the rush and the action of the game. They like betting against other people hoping that their game play is better than the guy sitting next to them. Of course gambling has progressed over the years from the Ancient Romans to 1700’s but today we even have Internet Gambling, this is where any one from any where in the world can play their favorite table game such as Black Jack, Video Poker and Poker from the comfort of their own chair and play as long or as little as they like. There are many people who play Poker as means to support themselves. What do you do when the money is gone? Some people only gamble with what they come to the casino with and others will ask for casino credit and others will turn to Internet Gambling. There will always be a form of gambling; the question is what is the next stop in history for the sport. Gambling goes back into the ancient times, there were ancient forms of gambling not Black Jack or Slot Machines that you see today. Mostly everyone in the Roman times gambled from nobility to regular citizens and even slaves liked to gamble and even play games. Like in many states today that do not allow gambling even in the ancient times, the Roman Government under the Emperor Augustus had laws against gambling. Gambling was only officially allowed on Saturnalia, which is a week long festival in the honor of the God Saturn. It was right before Christmas and during this holiday of sorts the slaves and the masters would switch places with each other and they would have gambling tables while the masters served them but the masters would also get a chance to gamble as well. If gamblers were caught gambling during the year they may be fined for partaking in their favorite past time. Though in many places the laws were not enforced all that strongly in fact the Emperor Augustus was actually believed to be hooked on gambling. Most of Rome that did not seem to mind the gambling and it only became more popular. In later years the Emperors of Roman were allowed to be given games of chance. Some of these gamblers were Commodus and he used the imperial palace was used a casino and a whorehouse to help finance his bankrupt regime. There was also Nero and he would bet a huge amount of money, which at that time was called Sestertii (Roman Currency) with just one roll of the dice. Even Caligula has noblemen arrested or even killed and their properties were seized and he would talk about these things at the gambling tables. Claudius was very fond of the dice games and even royalty could not get over how much people loved gambling. Men gambled in both there homes and in public gambling houses. Even back then poker chips were used as currency and some of the more popular games included a style of backgammon of Tabula, there would be a coin toss, dice throw or Tessarae. There was horse betting and gladiator bouts were very popular as well. Just like gambling today, there was a lot of cheating and to support this fact, archeologists have found loaded dice back in the Pompeii’s ruins. Then you have those who were considered experts in the games and there were on the way up through the ranks of social status faster than anyone else. 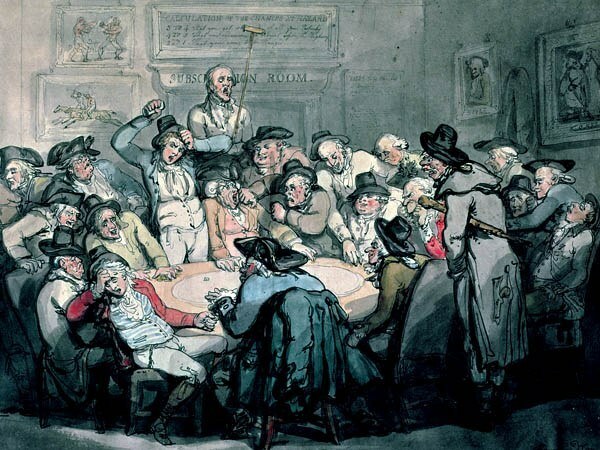 Back then gambling was an all male rule. Women would play only during the Bona dea festival. This holiday was a ladies only which was perceived as an all girls night out which still exists today. Gambling; no matter where you are from, what country you are from there are Casinos and Internet Gambling everywhere. Some places are more tolerant than others for example, it is considered illegal to Gamble in New York State yet there are a few casinos in the Upper part of the state and since it is so close to New Jersey, they just go on over to Atlantic City. More lawmakers are opposed to gambling than the public is although it depends on whom you ask. There are a lot of public opinions out there that state that there is nothing wrong with gambling and it is up to each person on whether or not they want to spend their own money. Someone who gambles is in it alone they are not using taxpayers money or using state funds to fund their hobby so most people don’t care. Then you have those people who believe that gambling is a sin and it should be outlawed and that is just from a moral standpoint. They believe that the root of all evil is money and gambling is the root of that problem. The truth is that gambling does bring in a lot of revenue for the city and state where the casinos are located just look at Las Vegas and Nevada. Millions of people flock there every month and that is not to see a Celine Dion show. People plan vacation around gambling. What people who believe gambling is bad do not understand is that it is freedom to do what we want as individuals and if someone choose to spend all of their money on gambling and not on food then that is their choice. It should be considered a problem when kids are involved, when a parent choose to gamble rather than work or they spend their paychecks looking to win big and they lose it all and the kids have to do without say food or clothes then that is where it become a moral shame, it isn’t illegal but there should be some legal repercussions when parents gamble with the lives of their kids. If everyone was a smart gambler and was able to walk away with some sort of winnings then it would really be a wonderful thing. If gamblers would just take the time to read and understand how games like Pai Gow and Keno are played then may have a better chance, if they knew when to hold em and know when to walk away they would do much better. A rule of gambling should be, never gamble with what you cannot afford to lose. If you plan on going to a casino and you have saved up only $ 300 then only take that money with you. Keep the credit cards at home and play with that $ 300, if you spend all of your money on gambling and you have $ 20 left it is better to walk away with a $ 20 then with nothing at all. 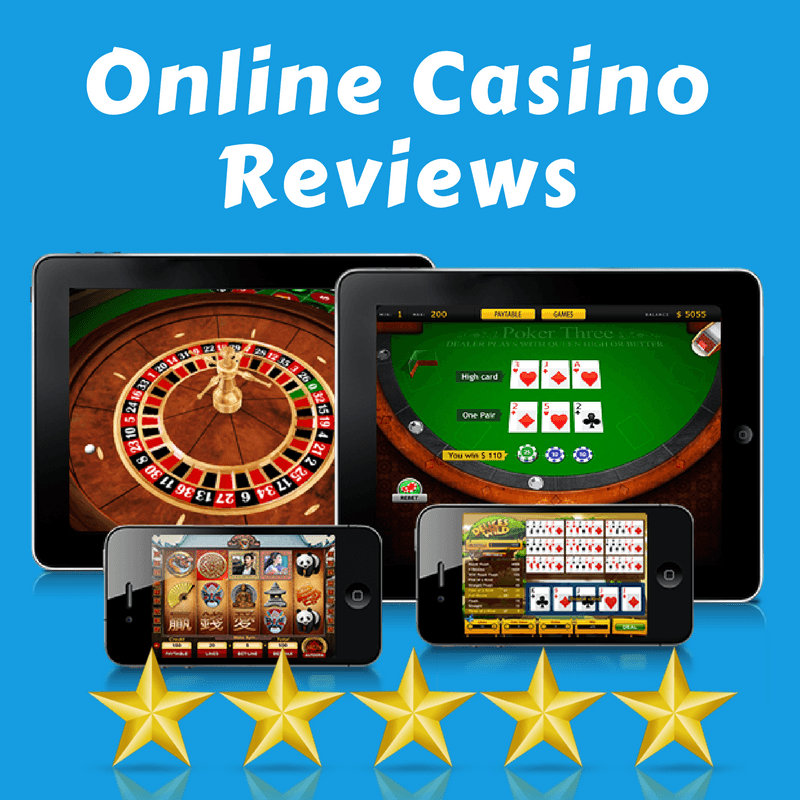 Throughout the past decade, the online gambling has made tremendous and noteworthy growths in many different aspects. The online gambling industry began in 1994 when the government of Antigua Barbuda passed the Free Trade and Processing Zone Act which made online casinos possible. Today, many online casinos still operate under this legislation from 1994. In this article, we will present to you the major events that took place in the history of online gambling, from its beginnings with the passing of this act in 1994. In 1994, the same year that the law was passed, Microgaming was founded. Microgaming is one of the online gambling industry’s biggest software developers and suppliers. In 1995, following the founding of Microgaming, a company designed to develop software packages that could process transactions securely was founded, taking strides for the safety and security of online casinos. In 1996, Boss Specialtidningar AB began developing a system for online casino operations. At the same time, Microgaming began concentrating on the development of online casino technology, and Intercasino began operations to accept real money for wager. They claim to be the first casino to do so. In the year 1998, Microgaming launches the first online progressive jackpot slot, which was named Cash Splash. For those of you who don’t know, a progressive jackpot slot is a game in which the jackpot increases by a small sum each game. This was a huge advance for online slots. That same year, the Internet Gambling Prohibition Act was introduced in the United States, but the bill did not pass. In 1998 alone the gaming industry generated a whopping $834.5 million in revenue. The first Australian-licensed online casino, Lasseter’s, went online in 1999. This was the first in what would be a long string of Aussie casinos. There are estimates that in that year approximately 700 internet casinos were taking bets online. Also in 1999, new gaming software became available. The software allowed multi-player functionality, allowing multiple players to both play together and chat with each other while playing the online game. In 2000, Gibraltar and the Isle of Man began to offer online sports betting licenses. Many of the online casinos you see today are licensed in Gibraltar. By 2001, up to 8 million people were estimated to have gambled online using real money. Additionally, it became legal for online casinos with licenses to operate out of Nevada. In 2002, the first win of over $1 million dollars in an online casino jackpot occurred. The winner of the large sum was playing a progressive slot game at Captain Cooks Casino when he won. In 2003, eCOGRA (eCommerce and Online Gambling Regulation and Assurance) was established. The aim of eCOGRA is to regulate strict security and safety guidelines for member casino sites. One of the telling ways to check if a casino is reputable these days is to check for the eCOGRA seal of approval, just like RoyalVegas Casino.